We can all use a little encouragement from time to time. Join us as we use this space to edify one another in the adventure of parenting. The following article was written for our monthly PSP newsletter. With permission from our principal, we are sharing this with you; praying you are blessed by the heart of his message. Enjoy! “I Don’t Need This!” How many times have I uttered those words? Probably more than I can count, certainly more often than I recall. The chapter of the old year is quickly coming to a close, and a new chapter in our lives is just beginning. Many of us tend to look back at the past year, either rejoicing, or thanking God it is over. I am no exception. As I look back at the year, I too am glad, in a sense, that it is done. In truth, some chapters are darker, scarier, or less cheerful than others, to say the least. In my own case, the second half of the year was definitely in the trials category. To be honest, I struggle with verses like these at times, particularly those hard times. But in light of God’s Word, I have to conclude that my opening question does indeed have an answer. That answer is, “Apparently, I do.” If I truly believe that my Father is in control, is sovereign, and has a perfect plan for my life; and if I trust that, like Job, nothing can come my way that hasn’t been okayed by Him first, then I must conclude that my trials, however unpleasant, weighty, or dark they may seem, have been allowed by Him for some reason, likely more than one. I can only conclude one thing from this: God uses trials to work on me. I am not, by nature, a very patient man, just ask my wife and kids. My Father, however, is working on that. His ultimate goal is not my creature comforts, but that I may, personally, be complete, lacking nothing. In order for that to happen, I need to learn patience, because, at least according to James, patience has a work to accomplish. That work cannot be accomplished quickly, easily, or without trial, because patience is only needed when one has to wait. If all of my trials ended in a split second, when would patience be built up? According to Paul, I am supposed to rejoice in the Lord always. (Php. 4:4) James said to count it all joy. This does not mean that I am supposed to enjoy the trials, there is nothing pleasant about what we are enduring, but I am supposed to rejoice in Him during it. The fact that He is working on me is a joy, because He is working toward a perfect end, and the fact that He is working on me at all proves that I am His. Not only am I impatient, but my natural tendency is also to wander, roam, and get distracted. I am like the little boy whose father is constantly saying, “Come here, stay close to me.” Every time a trial comes along, I run back to my Father because, like that little boy, I am afraid, overwhelmed, intimidated, or perhaps simply had some sense knocked into me. This being the case, I can also conclude that God uses these trials to keep me close to Him, which is where I need to be. As I put this all together, I am coming to understand a key fact: It is one thing to praise God during a trial… it’s not always easy, in fact, it rarely is… but it’s another thing entirely to praise Him for the trial, which is where I need to go if I am to count it a joy when I fall into one. May the blessing of the Lord abound in this new (learning) year as you stay close to Him. We’d like to know… During your summer break, in what ways are you being purposeful in drawing closer to the Lord so that you might be refreshed for the coming adventures in learning? Some of you may have children that always seem to succeed; there is no hoop they can’t shoot and no test they can’t ace. Eventually though, both our children and ourselves have to deal with the reality of failure. Through homeschooling my children, I have often seen them experience moments of failure. At times it is an arithmetic test, losing their self-control, or not winning a competition. It often amazes me that they put more pressure on themselves than I ever would place there. They have a goal and become distraught when their own expectations are not met. How do we show our children that it is okay to fail; that failure is merely a life lesson, helping them to grow and learn? How do we help them move on? Congratulate them on giving it their best. One aim for my children is that they do their best, no matter the circumstance. Even when they don’t quite reach their goal, they should still be congratulated on giving it their best shot. Let them talk it out and offer empathy. My kids often need the opportunity to vent their frustration and “talk it out”. They want to figure out where they went wrong and how they can fix the problem. There is no need for me to get upset; I simply need to listen and then offer a comforting hug. Don’t lecture, ask questions: Instead of telling my child what they could have done and should have done, I try asking them what they would have done differently. By allowing them work the problem out for themselves, we are helping them to grow and mature. Offer personal insight. It sometimes helps when our children know we can personally relate to their circumstance. If we can explain how we have dealt with the same struggle, it will encourage them to keep trying and eventually succeed. Help them to keep trying. My kids need to be encouraged not to let the situation get the best of them, but to use this as a springboard. If they can’t succeed in a particular field, I help them to explore other options. No matter what, we “try, try again”. Please let me be clear. While we firmly believe in helping our children move past failure, we do not believe in rewarding effort only. Not every child is going to receive an award; nor should they. We encourage our children to do their best with the understanding their best might not get them a physical award or reward. They are doing their best for the glory of God, and the improvement of themselves. Children who assume every effort earns them a trophy are being set up for life-long failure. Part of growing up and maturing, is failing. The key is learning to dust ourselves off, learn from the lesson, and move on. With compassion, understanding, and a lot of love, our children can learn this important life lesson. We’d love to know… How do you help your children move on from failure? Of all the subjects taught in public school, self-confidence seems to the most valued lesson. Our children need to learn to take pride in themselves! Our girls need to have self-assurance! Ironically, the lessons aren’t accomplishing quite what the schools had in mind. It has been mentioned, once or twice, that my children do not lack in self-confidence. I have even been asked what I have done to instill this in them. Honestly, the observation took me by surprise. I never set out to teach them self-confidence; it just wasn’t on my top list of priorities. I think our children learn confidence from us. When we exhibit poise, our children see this and model their lives in the same pattern. Here is where we need to be careful. It can be all too easy to have confidence in the wrong things. I do not wish to have foolish confidence, assured of things which have no value. I should also avoid over confidence, believing myself to be worthy of so much more. Instead, I wish to have confidence in Christ and the wisdom He has given. What I know, what I am capable of doing, and the assurance to proceed with decisions should all come from a solid understanding built on Christ; not of my own worth. This isn’t about me, but how much He can do through me. When our children see our confidence in Christ and His ability to work through us, they too will develop their own sense of assurance. Their courage will come from Him with an understanding that He will see them through no matter what. If we truly wish our children to exhibit confidence, let it be done in the right manner. Let us model a solid faith in our Lord and all that He can do through a willing servant. When they see the results, they too will become bold for Christ. We’d love to know… What has God been teaching you in your parenting journey lately? I’m sure we all encourage our children to read. Silently. But, how much time is spent on reading aloud? Oral fluency seems to be necessary for good comprehension and an enjoyable reading experience.¹ If we aren’t already doing so, adding oral reading to our homeschooling routine might be of benefit. Since their births, we have tried to instill a love of reading in our kids. 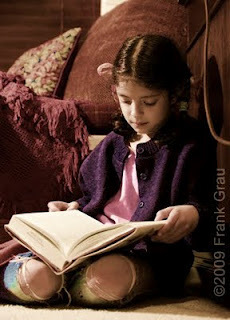 Even before they could understand, we would read to them or read in front of them. However, reading to them isn’t enough. I want to make sure that as my children are growing, they are also reading to me. There are some great ways to encourage oral reading. We can model how to read; ideally with us reading fluently to our children. We can read often; every day I make time to read with each child and have them read to me. We can read as a group; our family could memorize a poem and say it together. What makes a good reader? One indication they are doing well, is that they are reading with expression; they will sound happy when it is called for and sad when necessary. Another pointer is that they are reading without struggling. If you are looking for a great way to incorporate oral reading into your homeschool learning day, look no further than your book basket! If you care to find something a little more formal, I would highly recommend McGuffey’s Eclectic Readers. The key is to read at least once a day, preferably reading the same passage throughout the week. This might seem boring at first, but the repetition is important. Reading the same words over and over, builds fluency and helps your child become comfortable with the text. After a day or so, your child will be less anxious about the words; focusing more on expression and delivery. When children read out loud, we can better detect their struggles and offer them positive feedback; helping them complete their learning goals. This is especially important for children who are already struggling with reading, giving them the help they need to be stronger readers. Our children’s education will flourish when they are fluent readers. Fluency may seem out of reach, but it can be achieved. With consistent practice and constant encouragement, our children will ultimately reach their goal. We’d love to know… Does oral fluency play a part in your homeschooling day? How do you find ways to encourage your child to read aloud? If anyone had asked me to share my testimony, the story of how I came to have a relationship with Christ, I would have told you it wasn’t a big deal. It wasn’t until recently I fully understood just how important my story really is. I was actually what most people would call a “good kid”. No drugs, never drank, didn’t smoke, didn’t ditch school on a regular basis – Hey, I wasn’t perfect! – and I did what I knew would please my single mom; knowing she worked doubly hard to be our everything. See what I mean? It doesn’t sound like much of a testimony does it. What could this ‘good’, little girl have to say that could be so important? But, here’s the thing… The problem with being a ‘good’ girl is that it’s all too easy to think you actually are good. You tend to rely on your efforts, on your ability to perform, and on your good deeds. It leaves no room for the grace of God. While I would have denied I was trying to earn my way into heaven, I was certainly living as such. As a friend told me, I was missing heaven by 18 inches. The distance from my head to my heart. It wasn’t until I was encouraged to attend an apologetics class at our church that I truly began to appreciate what God had done for me. My faith became real. I realized God is alive and active, and He requires something of me; my obedience. Now, I have never given my testimony before large crowds. I probably never will. I don’t know how many people would even find my testimony to be worth listening to. But I do know one audience to whom my testimony is vital. My children. My children share my experience. They are being raised in a Christian home. My children go to church. My children are being given Biblical teaching day in and day out. If they are not careful they will quickly become what I was; someone relying on their own goodness to get into heaven. Maybe your testimony isn’t as simple as mine. Maybe the Lord has done amazing things in your life; the person you are now is far different from the person you were before you came to know Christ. Has anyone heard your story? Do your children know all that God has done in you and for you? “But I can’t share that with my kids! There is too much; it’s too horrible; it’s too harsh.” I don’t know what your testimony is, but God does. Pray about what God has done in you. Pray about how God would have you share what He has done. Maybe He will have you share some of your story; maybe He will have you share all. Maybe He will only have you share with your family. I am not here to force you into telling your story, only asking you to consider how God could use your story to bless others and help them come to a greater understanding of His goodness. Think of it this way. This isn’t YOUR story at all, it’s God’s. This is less about us than what God is doing in us. This is about His goodness, His grace, His mercy, and His love. It’s about taking something less than perfect and making it truly good; not good in and of itself, but positionally good in Him because of His goodness imputed to us. When the time comes, don’t be afraid to share your story. Whether it be to the entire world, the world around you, or the little world which resides in your home; may the Lord be glorified and honored for all He has done. We’d love to know… Has the Lord led you to share your testimony with anyone? The following article was written for our monthly PSP newsletter. With permission from our principal, we are sharing this with you; praying you are as blessed by the heart of his message as we were. Enjoy! Have you ever had one of those days where everything seems to go ballistic? You know the kind… the kids are constantly fighting, everything you say is taken in the worst possible way, getting the basics done, even those things they normally like doing, is like pulling teeth, and then the other stuff starts: the car won’t start, family and friends alike seem to be deliberately seeking to annoy you, dinner burns, the dishwasher overflows all over the kitchen… you know the day – the day from Hell! We all have had them, and for the record, there are more to come. It is actually very easy on a day like that, provided you take even a moment to step back and look at it altogether, to realize that the battle is on. For some reason, there are the general trials and struggles of daily living, and then there are those days when, for whatever reason, you have been ambushed by a nefarious enemy who knows how to push your buttons, and seemingly has pushed every last one of them. It’s called spiritual warfare. The Bible is not silent on this issue (thankfully), and gives us great encouragement as we receive our marching orders. These passages remind us that our weaponry and armor is from God, that our adversary is spiritual in nature, that our enemy is cunning, and that we can be victorious. While we are able to recognize the warfare that we engage in as such, our children, at least initially, are not. It is our duty, as good soldiers, to train the next generation of soldiers for war. In Matthew 12:30 Jesus told His disciples, “He who is not with Me is against Me, and he who does not gather with Me scatters abroad.” He quite clearly stated that everyone is either in one camp or the other. While outright combat is pretty easy to recognize (most people recognize getting punched in the face as an attack), there are a few things that fall into the warfare category that we would do well to consider, and prayerfully train our children properly regarding such tactics: not only how to recognize them, but also how to avoid using them on others. Assassins: These are people that come into our lives, either long-term (family, coworkers, etc.) or for short period of time. They differ from those obvious fires that approach with guns blazing to storm our fortress in that their attacks are subtle. Their weapon of choice is usually poison, either coming with false doctrine and robbing us of the joy that our relationship with God should bring, or poisoning our hearts with discontent, gossip, slander of others, or the introduction of compromise. We should realize that this type of agent is not necessarily a deliberate assassin. It is quite possible that they can be a friend, who genuinely loves us, and does not realize that the enemy is using them to drive a dagger straight to our hearts. Teaching our children to analyze the influence that others have on them is difficult because it requires a great deal of self-evaluation along the way. Nevertheless, assassins abound, both intentional and clueless varieties. Friendly Fire: These are the wounds we receive from our own side. In this category would be sibling rivalry (when all parties involved are believers), comments said without thinking that wound our hearts, and the myriad actions prompted by our own carnality and not-yet-dead sinful natures. Even on our worst days, we don’t wake up devising ways to hurt our family and friends (that would make us an assassin), but a believer can still accidentally discharge a loaded spiritual gun. In those times when we do so, we are usually aghast when we realize what has happened. It is not always comfortable to ask ourselves the question, “Whose tool am I being used as right now?” but that is exactly how we must teach ourselves (and then our children) to think if we are going to avoid injuring our own backup in the fight. If we are not actively trying to promote peace and unity, it becomes very easy to become an agent of division. Another point to consider is that this type of attack is rendered completely ineffective if we practice what we are taught in Scripture regarding forgiveness, praying for one another, and loving confrontation when necessary. Parental discipline may still be required for little Johnny when he gives in to the flesh, but siblings can choose to forgive rather than hold a grudge and seek an opportune moment to return the favor with a well-placed volley of return fire. Double Agents: “Whose side are you on anyway?” This category is for those so given in to their own carnality that it is not easy to tell where they stand. They say they love God and want to serve Him, but their behavior swings back and forth to such a degree that it becomes easy to question their motives and feelings. They differ from those engaged in friendly fire in that there is less remorse, or even none, when confronted with their own deeds. Are they saved but really carnal, or worldly and presenting a facade (perhaps they have even deceived themselves)? In any event, we don’t want to leave that question in the minds of others regarding our own conduct, nor do we wish for our children to be used as tools in the hand of our adversary. Teaching them the importance of self-evaluation, through the lens of God’s Word, is an important part of their own combat training as we bring them through boot camp in preparation for deployment wherever their Commanding Officer may send them. It is our hope as parents, teachers, and solders in the army of the Lord Jesus Christ to raise up a generation of champions for the Kingdom of God. To effectively do so, we need to teach our children to not only recognize the tactic, tools, and wiles of the enemy, but also to avoid becoming his unwitting pawn against their own fellow soldiers. “Who am I a tool in the hand of right now?” is a question we all need to learn to ask ourselves more often. Do We Have Bibliophilia? Probably! Bibliophilia or bibliophilism is the love of books. Accordingly a bibliophile is an individual who loves books. A bookworm is someone who loves books for their content, or who otherwise loves reading. That, in short, describes the people in our house perfectly. Our home consists of several thousand books, not including the thousands more we borrow from the library each year. Even if we weren’t homeschooling, books would have been an important part of our lives. My husband had a collection consisting of several hundred before we got married. When we got together, the set was increased by my addition of several hundred. Before kids, we added another hundred or so. Since having kids… Oh, my! We have discovered books aren’t just an important part of our lives, they are essential. Not a day goes by that we don’t use several books to help us get through our studies and keep us entertained. We have reference materials for art, history, science, logic, apologetics, Biblical studies, and so much more. Our collection of books is vast and eclectic. We have a little bit of just about everything: comics, graphic novels, classics, fables, poetry, art, architecture, design, mystery, adventure, fantasy, and logic. We have Stephen King, Norman Geisler, Roald Dahl, Shel Silverstein, C.S. Lewis, and the list goes on. One of our favorite activities is perusing the public library; nabbing the latest and greatest, along with the old and well-loved. We now have five library cards between the six of us and, even then, often max them out. We have been known to check out a hundred books a week. And our interest lists keep growing. I find it interesting that when people see our cart full of library books – Yes, we have a cart. A bag just wouldn’t hold them all. – they immediately assume we homeschool. It’s as if the books are an arrow pointing to our methods of education. We’ve also found it interesting that some parents hinder their children from selecting a larger number of reads from their local library. One parent was overheard to have told their children, “Two books. No more.” My children were horrified. However, it was a great catalyst for conversation. I’m sure the mama had a justifiable reason for her statement. Should we ever find ourselves in a predicament and not know what to read, there are several resources available. Honey For a Child’s Heart, The Book Tree, and Books Children Love are just a few. Fortunately, we don’t have to use these resources very often. There are always great reads waiting in the wings! Books are a huge part of our lives; they bring us together, entertain, and instruct. We’re extremely grateful to the Lord for the multitude of resources He’s made available to us, and the many books we’ve been blessed with over the years. May He bless us with many more! We’d love to know… Do you love books, too? Which book is your favorite? I’m sure most of us have been here. We spot a blog post, Pinterest article, Instagram photo, or something along those lines, advertising one family’s ability to spend what seems a minuscule amount on their grocery bill and we immediately perk up. What’s not to appeal? But upon further inspection we quickly realize it won’t work. Not for our household. What’s wrong with us? Absolutely nothing! Their family is NOT my family. Their needs are not our needs. Their location not our location. Their children not my children. (You get the point.) So while I would love to make my grocery bill total look like theirs, it just won’t work. And the same is true in every area of life, not just groceries! Whether it’s how we homeschool, parental choices, reading materials, or anything else; the minute I start comparing myself to others I lose sight of what God is trying to do in my own family. It’s wonderful to be inspired and encouraged to explore options to be better organized, but the minute I become discontent with what I have or start doubting the path the Lord has put before me, is the moment I need to put distractions aside and ask for wisdom. Maybe the Lord has something to show me, a better way we could be using the resources He has blessed us with. On the other hand, maybe I am merely meant to congratulate another family on how well they are doing in their adventure of life. What I am not to do is feel condemned or belittled if I am following God’s lead. I want to be frugal and those lists are inspiring, but my life isn’t someone else’s life. We live in different locations, with different needs, with different families. I am not to compare myself to others. Instead, I am to do my best where I am. If that’s $50 per week on groceries; great. If it’s more like $120; that’s okay, too. If it’s homeschooling in a more classical sense, beautiful. If we’re eclectic and learning hands-on, that’s just as lovely. So, when we see that article announcing, ‘My Grocery Bill is only $50, and You Can Do It Too!’ Go for it. Give it a shot. If it works, awesome. If not. Don’t sweat it. Send that writer a “Hallelujah” and then ask God what His plan is for your family. Because – let’s face it – whether you spend a little or whether you spend a lot, just knowing we’re even having a meal is a blessing. No matter the cost. We’d love to know… What is one grocery item you tend to splurge on? Are We Using These “Bad Words” In Our Home? Back in the day, when my husband and I were in pre-marital councelling, there were a few words we were advised to avoid in order to keep harmony in our relationship. Now as a parent, I have not only found myself trying to follow those words of advice, but adding a few of my own to the list. Not words that are wrong in and of themselves, but words that can bring harm. “Bad words”. Never – Using this word will make the other person defensive. Odd are, it’s not even a true statement. Try using words like “hardly” or “often”. Always – Same principle, no one always does anything. I Told You So – It would be best to remain quite when being right. The other person knows they were wrong, there is no need to throw it in their face. It Doesn’t Matter – It may not matter to you, but it matters to them. Trying to see things from their perspective doesn’t mean you agree, but that you are trying to understand. You’re Not Listening – This can come across as casting blame on the other person, which can lead to further arguments. Instead try saying, “Let me try this another way,” or “Let me make sure you are understanding”. Whatever – This may come across as not caring about the other person. This is another one that should be avoided when having an important discussion. It’s Your Fault – Blame is a horrible way to keep the lines of communication open. Instead, focus on how the problem can be resolved. Everybody Else – It doesn’t matter what everybody else says or does. All your decisions should be made based on Biblical principles and with the other person in mind. Yeah, Right – This little sarcastic comment can end an open discussion immediately. Sarcasm, period, is a bad idea when trying to resolve issues. It only makes the other person defensive and closed off. 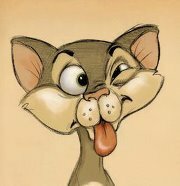 Sarcasm should be avoided at all costs when trying to work through difficulties. I Hate You – This is a huge one for us. If any of our children use this in an argument with their siblings, correction immediately takes place. You’re Mean – As this is an emotional statement, meant to hurt someone, and not an objective observation, this one also gets vetoed. Instead, we try to have our children pinpoint the specific action that was disliked and make sure that it isn’t repeated. Name Calling – The list is endless so I won’t go into all of them, but words like stupid, dumb, and the like are not allowed in our home. Instead, they are encouraged to focus on the action done and how to address it, not on putting the other person down. Shut-Up – This is another one we avoid at all costs; it is rude and unnecessary. Simply asking someone to please stop is enough. If they don’t listen, then consequences are set in place. I am sure the list could go on and on, but these are the main phrases we try to avoid. Through choosing our words wisely and trying to put the other person first, we will build our relationships and unify our family. We’re curious… What are some “bad words” that your family tries to avoid?